Easy to use, White roll-out sugarpaste with a delicious subtle vanilla flavour. 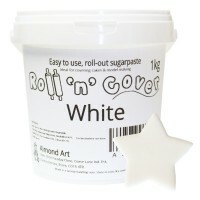 Ideal for covering cakes and also for model and decoration making. Can be easily coloured using gel/paste colours. 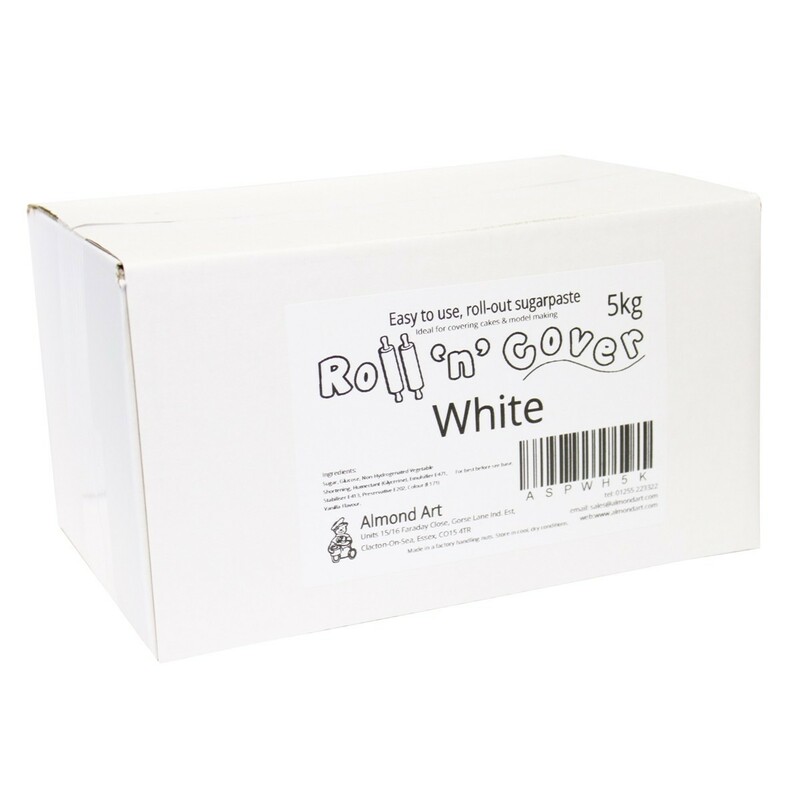 Ingredients: Sugar, Glucose, Non-Hydrogenated Vegetable Shortening, Humectant (Glycerine), Emulsifier E471, Stabiliser E413, Preservative E202, Colour: E171, Vanilla Flavour. Made in a factory handling nuts. 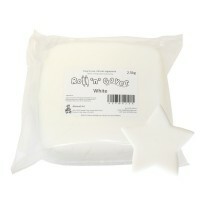 Vegan friendly ingredients but produced in a factory processing egg and milk powder. Still continue to use this product as it is fabulous to work with compared with other brands. 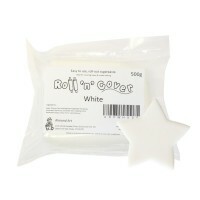 It's easily workable and feels silky smooth when rolling out using cornflour. I do find it feels gritty when using icing sugar but this is probably the icing sugar powder rather than the roll n cover. I recommend to anyone who asks! After reading the info thought that this would be a great new product to buy. Not happy with the way this felt when kneading it, still felt rough after kneading,did not feel smooth. The finish wasn't great either, used it on a 3 tier cake, 2 tiers done with this product, the other tier done with a coloured Renshaws product, you can see the difference. 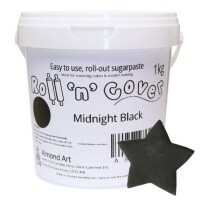 Will not be buying this again, will have to spend a bit more and buy Renshaws white sugarpaste. My confidence had ebbed away due to cracking, bubbling and the dreaded 'elephant skin' effect when using my regular sugar paste which had previously served me well. So I searched for reviews online and stumbled on the blog of a cake artist whose work I admire. She scored this brand the highest and was the reason for me taking the plunge and ordering. I am so glad I did! It tastes delicious - not too sweet and marshmallowy! It covers like a dream. I've covered three cakes so far, the first two I rolled the paste out thicker than I usually would with no problems at all. It coloured very well too and didn't fee like I was mixing for hours!! The third cake I decided to roll out quite thin to see how it fared - it was perfect! I'm raving about it so much because it's helped restore my confidence in my abilities. 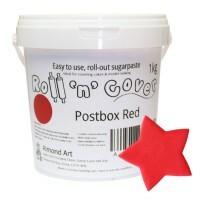 This sugarpaste is great, i was a little apprehensive at first as i've never tried it before, but it covers really well and tastes nice too.